Sylhet Office : Desperately looking for her physically-challenged husband, she started rushing to the male section of the mosque from the female one as soon as the attacker started shooting devotees indiscriminately. However, she was shot before reaching her husband and died instantly. 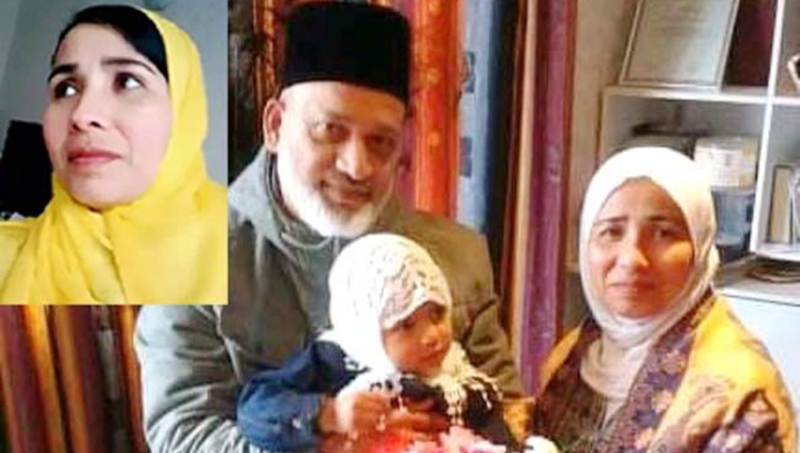 Hosne Ara Parvin, 42, who along with 48 other people was killed in the deadly attacks on two mosques in Christchurch of New Zealand, laid down her life while trying to protect her husband Farid Uddin who is unable to move on his own, said her family members here. Apart from Parvin, there are two other Bangladeshis among those killed in the terror attacks. They are Lincoln University teacher Dr Abdus Samad and his wife Kishowara. The couple along with their two children had been living in New Zealand for the last five years. Dr Samad, hailing from Madhur Hailla village in Nageswari upazila of Kurigram, was a teacher of Bangladesh Agricultural University. Taking early retirement, he went to New Zealand five years back. Quoting relatives living in New Zealand, Parvin’s elder sister Raushon Ara Begum said Parvin taking her husband on a wheelchair had gone to the mosque to offer Jum’a prayers around 15 minutes before the mass shootings began around 1:45pm, local time. After dropping Farid at the male section of the mosque, she went to the female section. Parvin, hailing from Jangalhata village of Golapganj upazila in the district, rushed off the female section as soon as she heard the sounds of shootings in a desperate bid to protect her husband. However, she was shot by the attacker and died on the spot. A pall of gloom descended on the village following the death of the Bangladeshi woman in the shootings. Meanwhile, Farid of Chakgram village in Biswanath upazila of the district escaped the attack as some devotees took him out of the mosque. He is now staying with his relatives in Christchurch, Raushon Ara said. Officer-in-charge of Golapganj Police Station AKM Fazlul Haque Shibli said they visited Parvin’s house and talked to her relatives.